Wild Rock Travel was born from a passion for riding bikes in amazing places. For the past 16 years, we have been leading groups of Canadians to some of the most iconic cycling destinations across Europe. Every couple of years we go back to the drawing board to design a new epic mountain adventure. The possibility of a north to south route through the French Alps is one that we’ve been considering for a few years now. This 7-day itinerary includes almost 500 km of riding with 6,000m of climbing over 15 different mountain passes. Although on the surface this might appear to be a sufferfest, what the hard facts don't tell you is that in addition to the epic climbs, there will be more stunning vistas than you can possible remember, amazing riding with great people, and raclette - yes, raclette. It's all about balance. Starting east of Geneva in the town of Morizine, we will ride south through the alps to Bourg-d’Oisans and Alpe d’Huez. Along the way we will be tackling a combination of popular climbs and mixing beautiful some lesser known climbs as well as some of the big classics. 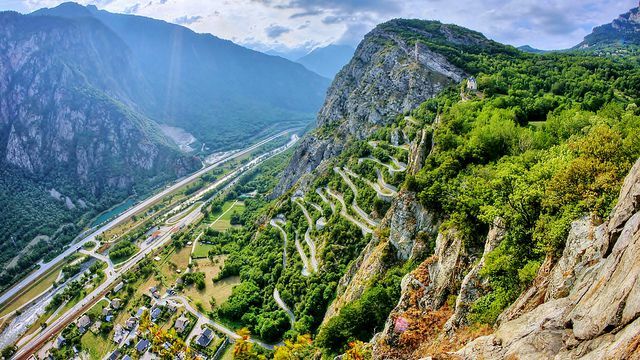 Sure to be popular are les Lacets de Montvernier, a short and stunning climb up 17 switchbacks etched into the cliff above Pontamafrey. We have also include some of the iconic climbs in the Alps such as Col de la Joux Verte, Col du Glandon, Col du Télégraphe, Col du Galibier, and a queen stage up Alpe d’Huez! The towns we are staying in are primarily small french alpine ski town: Morzine, La Clusaz, Saint-Jean-de-Maurienne and Bourge d’Oisans. 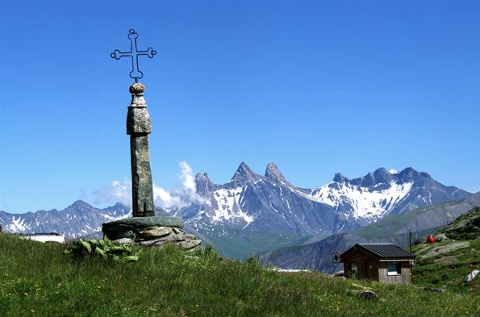 We’ve designed this itinerary to allow us to stay two night in both Morizine and Saint-Jean-de-Maurienne. Less time packing, more time riding! *For those traveling from North America, book your flight to depart the evening of Friday, June 14th and arrive in Lyon (LYS) the morning of June 15th. Upon arrival at the Lyon Airport (LYS), you will meet your Wild Rock guides and fellow travellers. We will load bikes and luggage into our vans and we shuttle three hours to Morzine. Our guides will build your bikes as you unwind, relax and get settled in to your room. In the evening, we will go over our itinerary in detail and enjoy a dinner together before a well-deserved sleep. After a relaxed breakfast we have a short warm up day to work out any kinks in your body or bike. This 30km route takes us up the Col de la Joux Verte (10km). If the weather is clear we will be able to see the gorgeous peak of Mont Blanc still covered in snow. A nice descent and valley road leads us back to Morzine. The afternoon can be spent catching a nap or checking out the shops in this beautiful ski town. Today’s ride takes us up the col de Joux Plane (10.5km, 6.6%, 696m) and the Col de la Colombiere (14.0km, 7.0%, 1078m). In the middle of the day we pass through Clusaz in the Arve Valley, a great place to stop for lunch or just an espresso before heading up the Colombiere. Our end destination is the ski town of La Clusaz. We have a longer day with 2 smaller climbs Col de Aravis (6.4km, 6.0% 300m) and the Col de Saisies (13 km, 4.8%, 585m) followed big, epic Col de Madeleine ( 15 km, 6.2%, 1574m). This day will likely leave a mark and we will have a van at the ready in case the Madeleine proves too much. The summit tops out at 2,000m in altitude so some may find they experience some altitude affects. The Madeleine has featured 25 times in the Tour de France since 1969. We finish in the town of Saint-Jean-de-Maurienne. With a population of just under 8000, Saint-Jean-de-Maurienne is the largest town we will visit during our tour. After yesterday’s epic you can relax over breakfast today as there is no need to pack up. We stay at this hotel again tonight. Today’s ride is a loop that takes in Les Lacets de Montvernier (3.8km, 7.5%, 286m). This short climb is packed with 17 switchbacks in under 3 km of climbing! Not skipping a beat we head straight into Col du Chaussy (10km, 7.6%, 743m). Recovering on the 12km descent before we tackle the epic Col du Glandon (19.5km, 7.3%, 1420m). This tops out in a gorgeous alpine environment. A few photos and then we turn left and head up the last 4.5km of the Croix de Fer. Descending the Croix de Fer for 13+km we can again recover a bit before the final climb of the day the Col du Mollard (5.7km, 6.5%, 375m). We finish our day with a mild 16 km descent back to our hotel. Today takes us to new heights peaking out at 2,657m in altitude! We begin with the famous Col du Télégraphe (12km, 6.8%, 832m) before a short descent and then we continue up the Galibier (17.5km, 6.3%, 1098m). This is another monster day with incredible views. 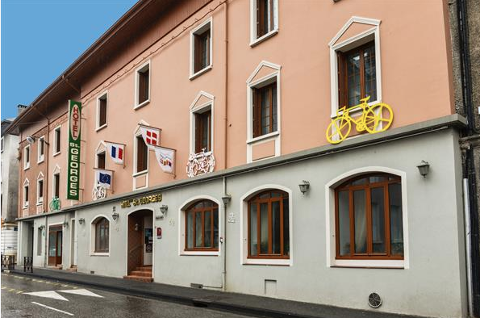 We end our day in the cycling epicenter of Bourg d’Oisans and the base of Alpe D’Huez. 96km ride with 3,191m If this seems too short and you need a more epic day we have the option of adding col de Sarenne up to Huez (6.8km at 7.5%) and traversing on an incredible road to Oz before descending to Bourg d’Oisans. 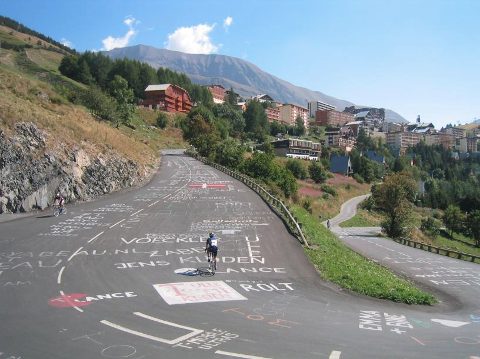 Our final day is spent blitzing the mighty Alpe D’Huez (13.2km, 8.1%, 1071m). 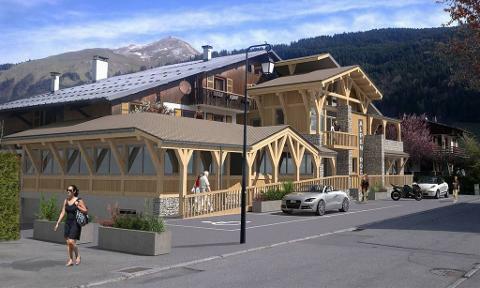 After topping out you can either check out a summit pub and descend or continue up the col de Sarenne (3 km, 7.5%, 227m). Following our descent back to Bourg d’Oisan, we will enjoy a celebratory lunch and your guides will begic to pack bikes. Late in the afternoon we will shuttle to a Lyon airport hotel to facilitate morning departures. Book your departure flight from Lyon International Airport (LYS). After breakfast at the airport hotel we head to the airport to fly home. We consider all of our staff at Wild Rock Travel to be guides. Sometimes we will be providing van support, sometimes we will be shuttling luggage, and sometimes we will be riding with you. Whatever it is that we are doing on any given day, we will always be there making sure that the trip runs as smoothly as possible! This price is based on double occupancy (all rooms have two twin beds). For anyone wishing for single occupancy accommodation, this can be provided for an $800 supplement. We require a $500 deposit upon booking and the balance of your trip can be paid 60 days before departure. Lunches. We believe that eating lunches out at cafés and restaurants during a ride is a unique and important part of the european cycling experience. Bring some euros to buy your café au lait and a lunch that suits your fancy. Cycling specific nutrition. We will provide some fruit and snacks for riding, however we recommend that you bring the gels and drink or electrolyte mix that you’re used to using at home. Alcohol *Some of our accommodators are likely to provide wine with dinner, otherwise it will not be covered.